Fact: Portland General Electric has committed to ending coal-burning at Oregon's only in-state, coal-fired power plant. 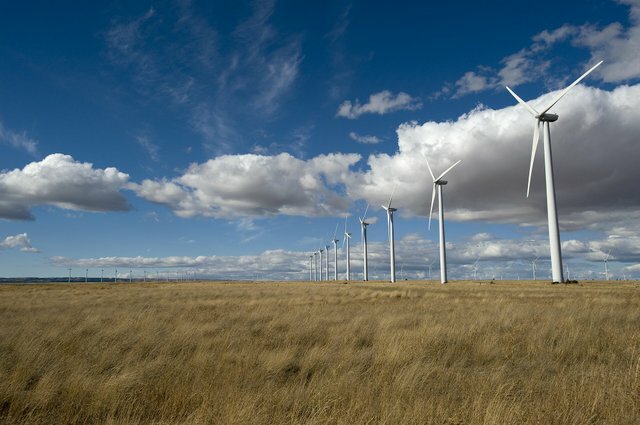 Fact: The Bonneville Power Administration now has 3,000 megawatts of wind generation on its power grid, an amount that could double in the next two years. Fact: Gov. John Kitzhaber has committed Oregon to developing a 10-year energy strategy that can meet reliability, cost and environmental quality goals. These are three promising benchmarks. Their promise can be redeemed or lost by the choices we make in the next few years; the wrong choices could block our path forward to the kind of future the governor seeks. To understand why, we need to understand a little more, technically and historically, about the power system. Back when we relied primarily on hydroelectricity, we could use the same dams to meet two kinds of consumer demand: "base load," or the amount of power we needed most of the time, daily and over the course of the year; and "peaking load" or the rise and fall in demand that occurs when we all shower in the morning, or when our heating demand rises in the winter and subsides in the spring. When we had excess reservoir storage and generating capacity in our hydroelectric system, hydropower flexibility served both functions. We finished the last large Columbia River hydro project in the 1970s, and since have increasingly relied for base-load service on coal, nuclear and now gas generators. These operate most efficiently when they operate at full power, so the role of hydro shifted increasingly to providing the flexibility in the system to meet those daily and seasonal variations. Over the past 20 years, that system flexibility has been constrained by river flow requirements; while at the same time, growing demands have been placed upon it to help integrate new generation from wind power (generation from wind can vary significantly from hour to hour as winds fluctuate). We can stretch hydropower only so far, while overall demands on the electricity system continue to grow. Of course, if we didn't have greenhouse gas reduction goals to meet, along with other important air pollution limits, we could just build more base-load coal and gas plants and not need to deal with a variable resource like wind. Or, if we could just relax after reaching Oregon's 2020 greenhouse gas goal (reducing emissions by about 30 percent from today's levels), we could just replace base-load coal with base-load gas (which emits less than half the GHG per kilowatt), and do without more wind in the system. But meeting the 2020 greenhouse gas goal is only a first step; we have a 30-year reduction pathway beyond that. Our emissions in 2050 will need to be almost 90 percent below today's levels, while our population in 2050 is likely to be half again what it is today. Electricity will be meeting more and more of our energy needs -- think electric vehicles in place of today's gasoline engines. And our growing dependence on computers and other information technologies will require that it be highly reliable electricity. If PGE simply replaces Boardman coal operations with a new base-load gas plant by 2020, it will temporarily lower the state's 10-year-out greenhouse gas emissions. That's good news as far as it goes, and a good first step for PGE. But in 2030 (by PGE's own projections), the utility's overall greenhouse gas emissions could be higher than they are today, as the utility also stretches to meet load growth and replace some expiring hydro contract resources. Shut down coal operations at Boardman and watch emissions rise? When they need to be almost 50 percent lower for the state as a whole by 2030? We need a better strategy. Instead of just exchanging coal for gas, we need a lot more wind, solar and other renewables, and a lot more energy efficiency. Not just 6,000 megawatts of wind on the regional grid, but 12,000 or 16,000 megawatts. And solar and other renewables as well. Can we do this? We can, but not by trying to squeeze wind and solar into yesterday's arrangement of hydro and thermal, base-load and peaking. The BPA, the region's utilities and the rest of us have to be thinking creatively about a system in which the operations flexibility of a plant is no less important than how much bulk power it puts out, and sometimes more. We need gas-generating plants that are designed to ramp up and down rapidly, without losing much efficiency, so they can follow both variable electricity demand and variable generators like wind. We need tools that better predict when demand and supply are likely to rise and fall. We need the ability to manage the system not just with power plants that can ramp up and down but also with buying flexibility back from willing customers who can accommodate temporary service interruption. There are many options for doing this with both large industrial users and individual, residential loads such as hot water heaters. The governor's 10-year plan can lead the way to this future, but only if it starts with the 2050 future we must have and then thinks backward to the choices we must make today. It can work if our technology and system design choices don't solve short-term problems while making the long-term ones, like greenhouse gas reduction, more intractable. Of course, the best planning can be trumped by new technologies or other unforeseeable shifts. But a flexible power system is likely our best friend for coping with surprises, happy or not. Angus Duncan is director of the Bonneville Environmental Foundation.